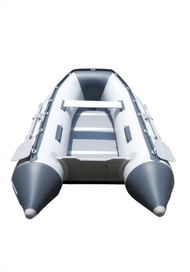 In today’s inflatable boat market, there are numerous models and types of SIBs. New ones are introduced regularly as well. They may have the same construction material or composition, but manufacturers continue to claim features and upgrades that make their boats appealing. In this sea of marketing ploys, it is hard to make a choice. This is the reason why I have prepared an article on the best inflatable boats for every need. 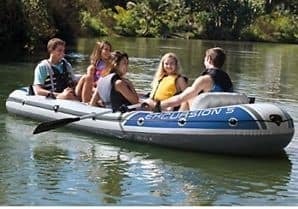 Pouring all my knowledge and experience into this article, you get a chance to read reviews of the best and most popular inflatable boats and, of course, things you have to consider before buying one, as there is no 1 size fits all. What type of boating will I do? How often will I boat? Where will I use my boat? Do I need a motor and a keel? What kind of flooring do I need? How will I transport my boat? Where will I store my boat? 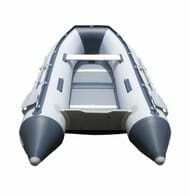 The Mariner 4 is an inflatable raft that sizes up to 10.75 ft in length, and weighs around 77 lbs. It has a weight capacity of 880 lbs, which enables it to carry a maximum of 4 people. It is made up of three (3) layers: one (1) polyester layer and two (2) thick PVC layers. The sides and the bottom of the boat are encased with a layer of wrap guard that offers added protection in case the boat bumps into or runs over stones or sharp objects in the water. These features, altogether, protect the raft against punctures, abrasions, and UV rays. The best feature of the Mariner 4 is its hard-plastic flooring. 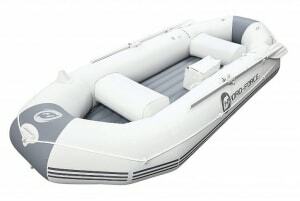 This offers more stability compared to other boats which have a standard inflatable flooring. It is also far more affordable than other rafts with solid flooring; it costs two or three times less! Mariner 4 has five (5) separate chambers: four (4) in the main body and one (1) in the keel. It is the only raft that features an inflatable keel. Even with the separate chambers, Mariner 4 is easily inflated and deflated, especially with the high output manual air pump included upon purchase; it can inflate each chamber in a few minutes. 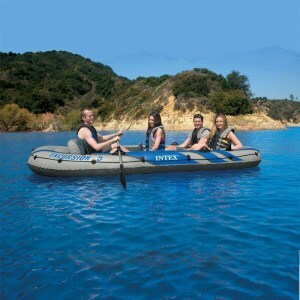 The inflatable raft also comes with three (3) inflatable and detachable seats that fit snuggly in the boat, so you don’t have to worry about it moving. You can also opt to detach the seats to make room for more gears and equipment. It’s also perfect for fishing because of its built-in fishing rod holders on each side. The Mariner 4 also offers an easy paddling experience with its 360-degree swivel oar handles and 54-inch oars. It also possesses motor mount fittings should you choose to pair it up with a trolling or outboard motor. The Excursion 5 is the largest and most comfortable raft manufactured by Intex. It is constructed with a 30-gauge of extremely durable PVC, making it puncture-resistant. It has a length of 12 ½ ft and a weight of 53 lbs. 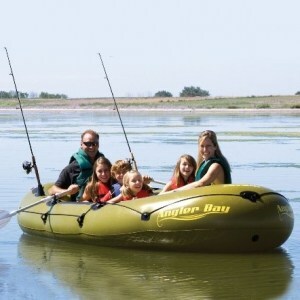 It is a spacious 5-person raft that has a weight capacity of 1,000 lbs. 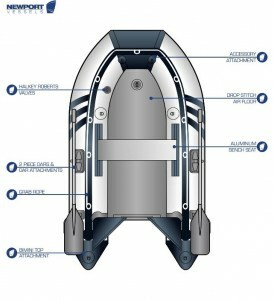 Excursion 5 is made up of 3 inflatable chambers: two (2) in its main body and one (1) in the floor. 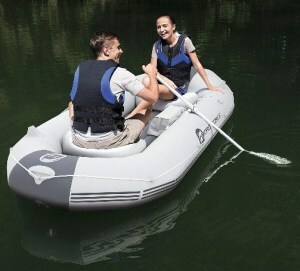 It also features inflatable seats with backrests; these are detachable seats that can be clipped on inside the raft. It also features four (4) welded oar handles and fishing rod holders, two on each side. It also has a motor mount fitting should you choose to use a motor to power up your raft. Inclusions upon purchase of the Excursion 5 are two (2) 54-inch paddles and a high output air pump. 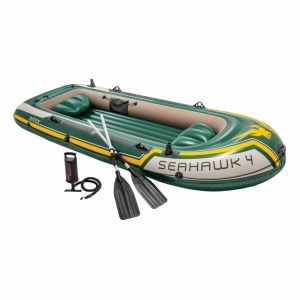 Like the Excursion 5, the Seahawk 4 is made of 30-gauge thick and durable PVC vinyl material. It has a length of 11 ½ ft, and a weight of 45 lbs. It is a 4-person raft that has a capacity to carry up to 880 lbs of weight onboard. 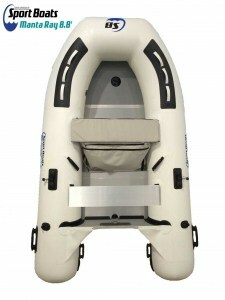 The Seahawk 4 has three (3) chambers: two (2) in the main hull and one (1) in the floor, which can be inflated in 5 to 6 minutes using the high output air pump included as a package bonus. It also has unattached inflatable seats that can be placed anywhere in the inner hull. The seats are made out of PVC as well, but are not of the same construction material as the raft. 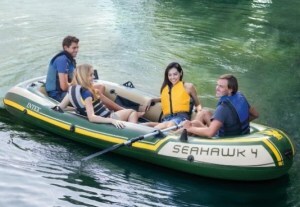 The distinctive feature of the Seahawk 4 is its yellow rash guards located near the oar locks. This gives it added protection against paddling friction that can usually wear out the surface of most inflatable rafts. 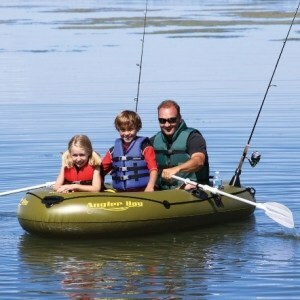 The raft also features four (4) welded oar locks, two (2) fishing rod holders, and two (2) 48-inch paddles that are perfect for fishing operations. It also showcases a motor mount fitting that you can use to attach a motor kit and a trolling or outboard motor. The Angler Bay is manufactured by Airhead. It is constructed from heavy gauge K80 PVC with electronically welded seams. 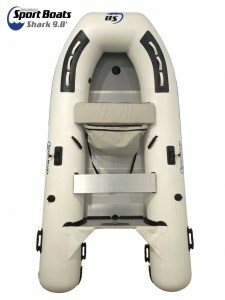 It is available in 3 different sizes, varying on the weight capacity; there’s a 3-person, 4-person, and a 6-person boat. All 3 sizes differ in dimension, but offer the same features and accessories. 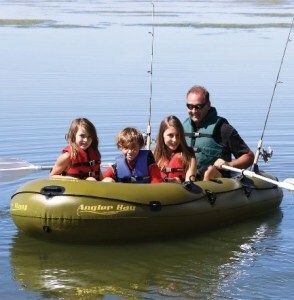 These rafts have built-in features that make for a great fishing adventure. They have two (2) fishing rod holders located near the end of the boat. They also have multiple cup or drink holders, so you don’t have to worry where to keep your drink without it spilling. They also feature swiveling oar locks to make paddling easier; when not in use, paddles can also be kept on its side mounted oar holders. These rafts also have transom mount fixtures, where you can attach a transom mounted motor kit. A distinctive feature of Angler Bay rafts is their patented speed safety valves that enable them to inflate and deflate quickly. Lastly, these rafts have inflatable seats that fit snuggly in the inner hull of the boat; you don’t have to worry about it slipping or moving. It is also detachable and can be adjusted to the position that suits you the most. 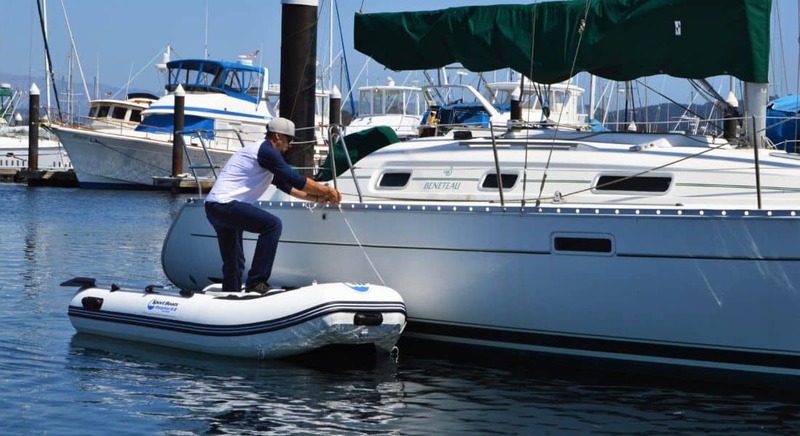 The HydroForce Marine Pro is constructed with 3-Ply PVC vinyl material, giving it an extra tough exterior. It is 115 inches in length, and 50 inches wide. It is a 3-person inflatable raft with a weight capacity of 594 lbs. It can accommodate only accommodate up to 2 adults and 1 child. Unlike the other inflatable rafts in this list, the HydroForce Marine Pro is the one with the least built-in features; however, what it lacks in accessories, it makes up for its durability. It has a spacious room on board for 2 people. It has oar locks, oar handles, and a fishing rod holder. It also features two (2) inflatable seats that fit perfectly in the inner hull. This inflatable raft also has a wrap guard and an all-around grab rope. Its wrap guards protect the sides from punctures or abrasions caused by bumping into things while on water. The HydroForce Marine Pro can also be used with a motor kit. Although very durable, it is highly unadvisable to be used on rough water adventures even if powered by a motor because it lacks a keel. The HydroForce Marine Pro package also includes two (2) 60-inch aluminum oars, a 14.5” Air Hammer Inflation foot pump, a storage bag, a pressure gauge, and a patch repair kit. 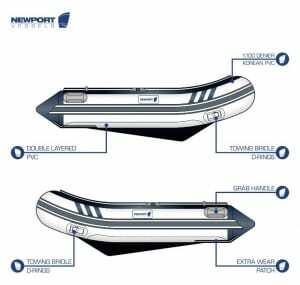 The Newport Vessels Inflatable Aluminum Floor Boats are constructed with 1,100 deniers of imported Korean PVC, which is the same construction material used in professional whitewater rafts. An additional layer of polyester is used to reinforce flexibility in these dinghies to ensure easy folding and storing. These boats come in various sizes, giving you flexible options in choosing what suits your needs the most. 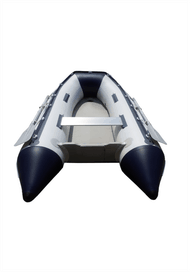 Newport Inflatable Boats have 4 chambers: three (3) in the main hull and one (1) in the keel. They also have aluminum framed Marine Wood floorings, offering great stability on water. Additional features are accessory inclusions in the package upon purchase. You will be receiving two (2) bench seats, a set of oars, a foot pump, a carrying bag, and a repair kit with the inflatable dinghy. Newport Vessel boats are best used with a motor. The smallest boat, Dana, can be paired with a 9.8 HP motor, while the largest one, Catalina, can be paired up to a maximum of a 20 HP motor. With the right motor, these inflatable dinghies can go as fast as 15 to 20 mph. Like the Aluminum Floor Boats of Newport Vessels, the Drop Stitch Air Boat models are also constructed from 1,100 deniers of imported Korean PVC. Newport Vessels also used high quality German adhesives for the construction to prevent adhesive breakdown over time. This model comes in 3 different sizes: 7 ft, 9 ft, and 10 ft. 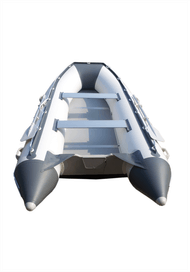 These inflatable boats come with 5 chambers: three (3) in the main hull, one (1) in the keel, and the flooring. Even though they have one more chamber compared to Newport Vessels aluminum floor models, they inflate faster. Aluminum floor boats will take at least 15 minutes to be fully inflated, but these boats only take 10 minutes. 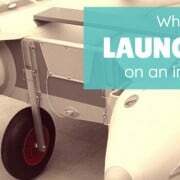 They also have the same accessory inclusions as the aluminum floor boats, which are the following: two (2) bench seats, a set of oars, a foot pump, a carrying bag, and a repair kit. As for motors, Carmel requires a 4 HP motor. The Seascape, on the other hand, can be paired up with a motor with the maximum power of 10 HP. Lastly, Santa Cruz can accommodate a motor with power up to 15 HP. 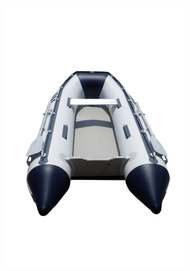 The exterior of the Inflatable Sports Boat Air Floor Models are constructed from 1,100 deniers of 9 mm thick high grade reinforced PVC. These boats have protective features against UV rays, oil stains, punctures, and abrasions. They also have welded seams that are guaranteed to withstand wear and tear over time, eliminating problems with adhesive breakdowns and the like. They also have extended rear pontoons and transom areas to support larger motors with ease. The aluminum models have three (3) chambers: two (2) in the main hull and (1) in the keel. They have tubes that are 16 inches in diameter, which are easily inflated and deflated. They also feature a 24 mm thick easy-slide aluminum flooring and seats that are lightweight and environment-friendly. The entire package also includes two (2) 6-pound oars, one (1) 6-pund aluminum bench seat, a storage bag, a foot pump, and a repair kit. 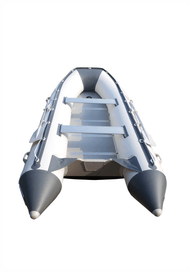 Like the aluminum floor models, the Inflatable Sports Boat Air Deck Floor models are constructed from 1,100 deniers of 9 mm thick high grade reinforced PVC. These boats have protective features against UV rays, oil stains, punctures, and abrasions as well. They are also put together by hot welded seams instead of adhesives; this eliminates issues like adhesive breakdown and rapid wearing out of seams. The boats have four (4) chambers: two (2) in the main hull, one (1) in the keel, and one (1) in the flooring. The inflatable flooring is a drop stitch high pressure air deck floor constructed from thick PVC. The flooring is designed to hold 8 PSI, providing a stable boat floor. 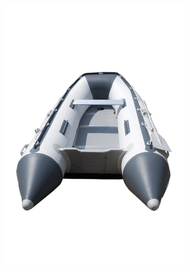 The BRIS Inflatable Boat is manufactured from 2,000 deniers of 1.2 mm thick heavy-duty PVC fabric. Additional layers of fabric are also added at the bottom of its tubes to protect it from punctures and sand abrasions. It has three (3) inflatable chambers: two (2) in the main hull and one (1) in the keel. The chambers in the main hull are tubes with diameters of 18.1 inches. It also features a one-way drain valve with plug. The best feature of this inflatable dinghy is its protective features. Aside from double layered bottom-tube fabrics, it also has a V-keel with rub-strake protection. The entire boat is resistant to UV rays, punctures, abrasions, and even oil stains. The package includes a set of aluminum oars that perfectly fit its built-in oar locks. It also has a marine wood transom that is perfect for mounting an outboard motor. It can be paired up with a motor with a maximum power of 25 HP. It also has aluminum-framed marine wood flooring, which provides reliable stability during water activities. Other accessories included upon purchase of this boat are two (2) aluminum seats, foot pump, storage bag, and a repair kit. 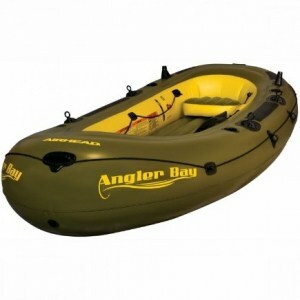 Oftentimes, choosing the right inflatable boat in the market can be very challenging. Most great-performing inflatable boats cost around hundreds or thousands of bucks, but purchasing an expensive one doesn’t usually mean you’re getting a good deal out of it. So to make the most out of your money, we will discuss basic questions that you have to ask yourself before making a purchase. Nowadays, there are inflatable tenders, dinghies, kayaks, and rafts that are designed for a specific use. Unfortunately, this is where the problem starts. 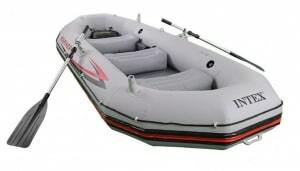 Most inflatable boats are designed to be used for a definite purpose. This means that inflatable boats are constructed according to what it will be used on. This is why it is important to consider the activities you are planning to do with your boat in order to choose features and specifications that will suit your needs. For fishing and recreational kayaking, you can opt to go for inflatable rafts like the ones listed above. These boats have built-in features like oar handles and fishing rod holders, which can be handy during recreational activities. 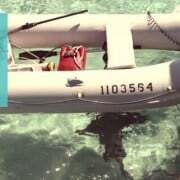 For open ocean tours, family excursions, and diving adventures, you can choose from the inflatable dinghies listed above. These boats have durable construction designed to withstand sea adventures. 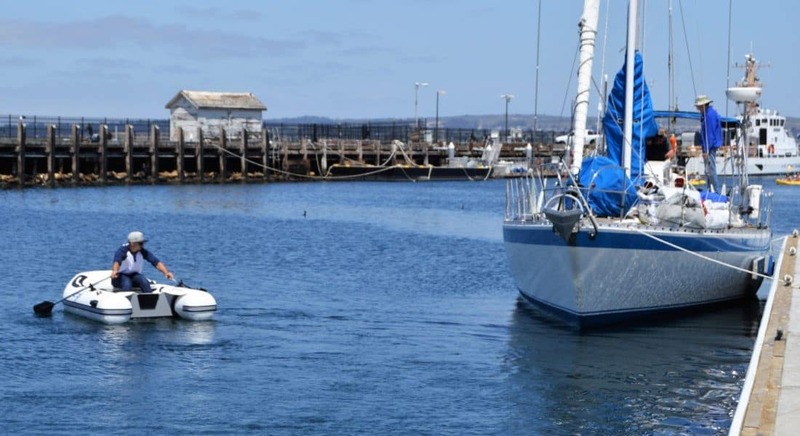 Another question you have to ask yourself is how often you will use your boat; this is because you will have to look at the construction material of the boat you will buy. 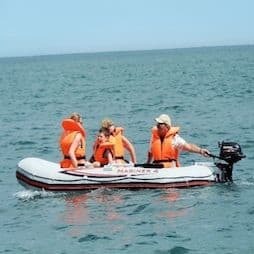 Frequent usage of your inflatable boat can easily wear it out, so you will have to look for boats manufactured from sturdy materials; this refers to the fabric and adhesive used in assembling the boat. Ideally, CSM or Hypalon is the most durable between the two. It is a synthetic rubber that does not deteriorate over time. It is highly resistant to UV rays, abrasions, chemical spillages, and mechanical abuse. It can also withstand extreme temperature regardless if it’s too hot or too cold, unlike PVC which is weak against high temperature. However, the downside of using Hypalon is that it is more expensive and requires intensive labor because there’s no other way to put it together except cold gluing by hand. PVC, on the other hand, is compatible with any adhesive. Unfortunately, glue in PVC have issues with breaking down when exposed to high temperature because of their heat reactivating property. PVC also deteriorates over time and only has a maximum life span of 8 to 10 years. It is also very sensitive to heat and will get worn out when exposed to the sun for too long. Luckily, PVC is gradually getting improvements with the help of technology. Instead of glues, most PVC constructed inflatable boats in today’s market are now welded. Manufacturers are also able to find a way around deterioration by adding layers from other materials like polyester. In the fight between PVC and Hypalon, you have to consider two things: your budget and your location. Hypalon inflatable boats can be really expensive, but they prove to be worth every penny. It’s a good choice if you will be using your inflatable boat frequently. PVC boats, on the other hand, cost cheaper and can considerably do the job as well. However, using PVC boats in tropical countries is highly unadvised. The weather condition in these areas can accelerate the deterioration rate of the said fabric. You can also read our article for a more detailed comparison of PVC and Hypalon to help you decide better. Glue is the most widely used method of bonding in the inflatable boat industry. This is because it works well on both Hypalon and PVC fabrics. Unfortunately, some glued seams are prone to leaks over time. Welding is a relatively new method of bonding. It offers a more effective bond compared to glue, and it generally lasts longer. However, it only works on PVC Fabric. Glues are the most trusted way of bonding, but welded seams are relatively longer lasting than glued ones. If you are choosing a PVC boat, choose one that underwent welding, especially if you are going to use your inflatable boat often. 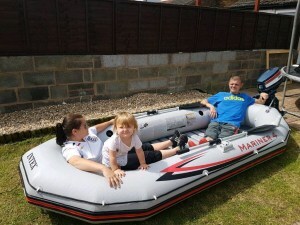 One of the most important things to consider when buying an inflatable boat is considering where you will be using it. Some boats are not designed to be exposed to saltwater. Some boats cannot withstand harsh waves and rough current as well. This is why you have to examine the composition and design of the boat to make sure it is suited for where you will be using it. For starters, inflatable rafts like the ones listed above have flat hulls. These boats will perform really well in lakes, but not in the open sea. Flat hulls are designed for activities done in calm waters. It is not recommended to be used in rough waters because it does not have the ability to cut through waves. Boats with roll-up floors are not recommended to be used for activities in the sea as well, for they offer insufficient stability for the boat. 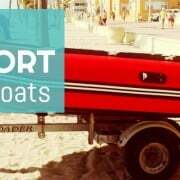 Inflatable dinghies in the list above are all qualified to venture into the sea. These boats are built with V-hulls and air or hard floorings. The V-hull can smoothly cut through waves and the said type of floorings offer great stability even during rough rides. Motors can be mounted on to almost all types of boats. However, flat-keeled or non-keeled boats are only advised to be powered by a motor with low HP. This is because these types of boats are not built to speed up or cut smoothly through the water. If you wish to ride through the water faster, you have to purchase a boat with a V-keel or a deep V-keel. These kinds of boats can go as fast as 15 to 20 mph, sometimes even faster depending on the boat and motor used. However, do not forget to check the compatibility of your chosen boat with the motor. Most boats have a speed capacity and anything more than that can be overwhelming. There are three types of flooring in the inflatable boat industry: roll-up floors, hard floors, and air floors. This type of floorings is lightweight and portable. 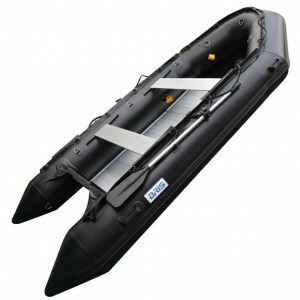 It is often used in small inflatable boats that are only used for recreational activities. Hard floorings are usually made with aluminum and marine plywood. This type of flooring offers great stability in water, but adds to the total weight of the inflatable boat. It also needs to be setup in the boat. Nowadays, air floors are slowly gaining popularity. This type of floor are upgraded and improved roll-up floors with the help of drop stitching. This flooring is high pressure inflatable floor that can compete with hard floorings in stability. 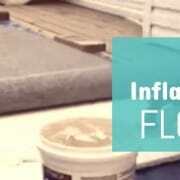 For a more detailed guide about inflatable floorings, read this article. Traditional rafts and boats are usually difficult to pack and transport, unlike inflatable ones. 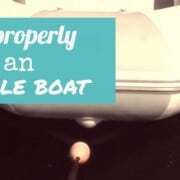 One of the benefits of owning an inflatable boat is its portability. 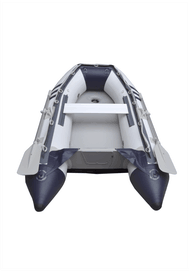 You can transport your inflatable boat in two ways: deflated and packed or inflated as cargo. Deflated boats can be stored in its carry bag to be stashed inside your car, while inflated ones can be transported by using trailers, pick up truck beds, or even as a cargo on your car’s roof. You won’t have to worry about damaging your car too, for inflatable boats are lightweight in nature even when inflated. 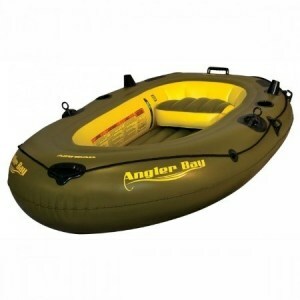 You can also read this article for a thorough guide in transporting your inflatable boat. You can store your inflatable boat inflated or deflated. However, it is more ideal to store it away deflated and packed in the storage bag to save space in your room / house. Should you choose to store it inflated, you can do so. Be cautious enough to put it in a room with enough space and an area away from sharp objects that can puncture the boat. 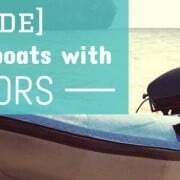 You can view this article for a step-by-step guide in proper folding and storing of your inflatable boat. Hi, I'm Tom, the creator of PumpupBoats.com. I've been involved with every water related sport you can imagine, and since having kids, have acquired a lot of knowledge on every type of inflatable water craft. I love my inflatable boats, you will too! PumpupBoats.com is a participant in the Amazon Services LLC Associates Program, an affiliate advertising program designed to provide a means for sites to earn advertising fees by advertising and linking to amazon.com.